Hi friends! It’s been a quiet, peaceful week in my neck of the woods. Warmth and contentment fill the happy spots in my brain as I type–one eye on the screen and the other gazing through the window that overlooks a forest. 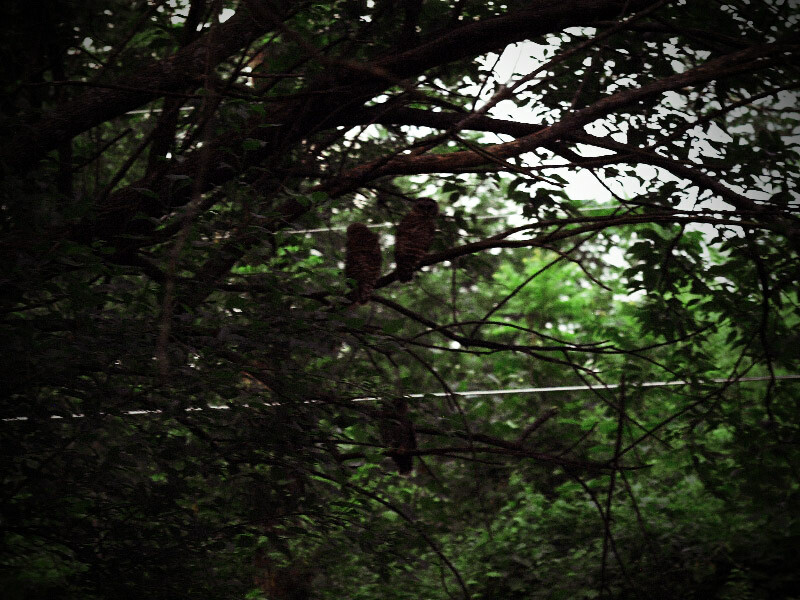 A family of owls has come to nest in my space and we seem to be co-habituating nicely. Their wings and eyes enchant me and I can’t help but tag along while they glide from tree to tree. The littlest one lets me talk to him and even pretends to listen…kinda like my husband. Seeing the three in the tree made me think of Jennie and Christy. These masters of masterpieces compiled a wonderful set of passages, prose and poetry in their Words for the Weekend site last month. If you haven’t already, take a look at Three Little Birds, Vol. 33. I shamelessly stole my favorite poem from the mix. It fits, don’t you think? I saw an owl tonight. 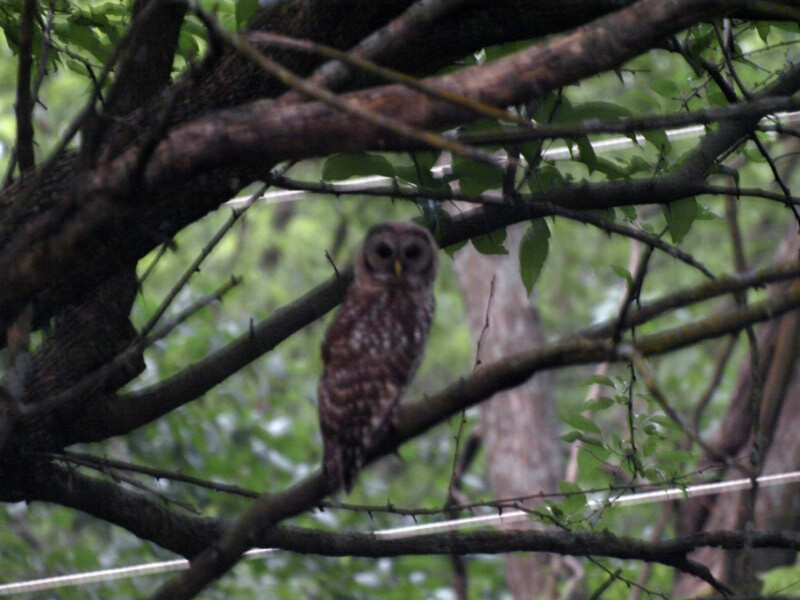 I saw my first owl tonight. he was sitting high on the phone pole. my wife shined a light upon him. These fellas are called Barred Owls. They have the neatest call ever–a very distinct “Who cooks for you?” “Whooo cooks for you all?” Take a listen here. The pictures are a little blurry and that’s okay. The photos I took with my memory are spectacular! Wow, the photos are incredible Michelle. I had a huge owl fly over my head–inches over–once. It was scary and magical at the same time. They’re beautiful creatures. You’re so right! Magical and scary. I didn’t even notice the littlest one until he swooped over my head. Then, as I followed him around, he landed in the tree with the other two. The pics were okay…even though I was nice and close, it was too close to dusk to capture without being blurry. Now, I go out every night looking for them…hoping the fireworks didn’t scare them off!